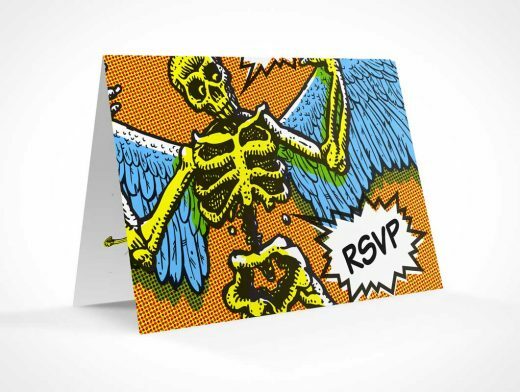 RSVPCARD017 is a proxy rsvp card resource for rendering your design onto a card presented in landscape format. This PSD Mockup is rendered with a 30° rotation providing a clear view to the front of the card. The card is standing with an a-frame shape allowing the right inside page of the card partially visible. 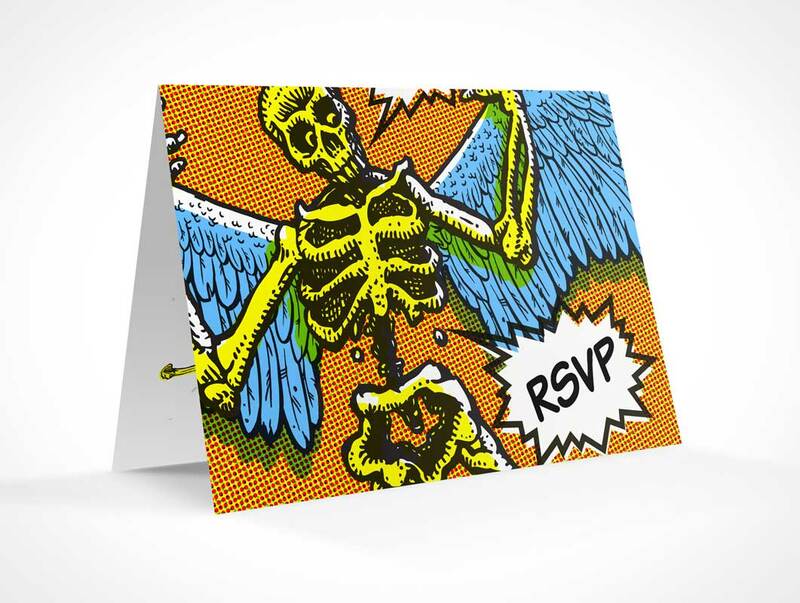 This rsvp card includes multiple highlight and shadow layers allowing for further customization. This greeting card, and others, can be used to display your designs online or in print magazines.